“As early as 150 years after the birth of Yeshua, Justin Martyr wrote to Trypho the Jew, telling him, “You can be a Jew or a Christian, but you can’t be both.” Page 198 A Rabbi looks at the Last Days, by Jonathan Bernis, Chosen books a division of Baker Publishing. I know many of you (not all) do not believe Jesus (the Jew) was the Messiah. Of all you may have read about Jesus, was He one to call for extermination? No just the opposite. In history, you have been exterminated by those filled with hatred. They claimed to be Christians but we now know it was a manipulating political scam to involve the citizens who did “call themselves” Christians. We know now, sheep are easily led. They chose a new shepherd, forsaking Christ. Never-the-less, “the final solution” became policy, to exterminate all Jews. This was not Christ. It is ironic that Jesus brought the true “Final Solution” that it would save us and exterminate the bad guys and it began by allowing Himself to be “exterminated.” In some ways a shadow of you in the future, like sheep, the Jewish people “allowed” themselves to be exterminated, UNDER DURESS of course. You gave us King David, he gave us Mary (the mother of Jesus) Mary gave us Jesus, He dies a silent Lamb, for mankind, for the Jew first then the gentiles. WWII, much of the world identifies with Jesus but by an anti-Christ spirit Jewish people are sacrificed. The world rises up against their murderers, and God’s final prophetic piece is in place. The creation of the State of Israel, the ONE THING that had to happen for the world to eventually see the actual coming of the Messiah, the reason behind why her enemies reject her existence and right to exist. It was written. It will be. More was written. Because some of you and your ancient relatives have rejected Christ, your knowledge of Him is limited. He is rejected out-right. This in the hearts of your people makes the misunderstanding of Him possible. Many Christians have honored you and compelled our nation to support Israel for biblical as well as strategic reasons. We are not stupid. We want God’s blessing. Only in recent years have anti-Christ policies been allowed in America. Democracy has its weak points. This saddens followers of Christ but it is a SIGN that we must admit to as we ready ourselves for a time worse than the holocaust. It has been foretold by the prophets as well as by Christ. It will happen. It is happening. That is what this book is about. It is a direct appeal to you our beloved fellow believers in the God of Abraham, Isaac and Jacob. It is written, your Messiah will live (be enthroned) forever. What human can live forever? Forever is offered to us ONLY under the covering of a resurrected life. The temporary (living) status of Jesus of Nazareth was intended to instruct us toward our goal of resurrected life and to satisfy the Mosaic Law for sin, all types of sin. Jesus, the Jew, showed us enduring love, the character of the kingdom of God, and the mercy hidden in the Law, that a substitute (for us) was acceptable and after that God would reciprocate based on what WE did, as WE were taught. Reconciliation by grace and forgiveness was, to Him, of paramount importance as you even recognize today in your feasts and honored days. Jesus did not change the Law. He submitted to it in our place and focused us on the encompassing two points of the Law, simplifying our goal so we could actually achieve it. Love God and love your neighbor as your self. He quotes Moses. As God’s ultimate goal, His resurrection empowered and gave total credibility to His message. Centuries later, my Jewish friends, Daniel the Prophet is opening his book. Will insight bring everlasting life? See chapter 12. God has fought for you before and is willing to do so again. This time the Messiah you were looking for is returning to rescue His own; the Jews who seek and find Him ahead of time and the rest of us also. You can not allow the darkness to distract you from God’s exit strategy. 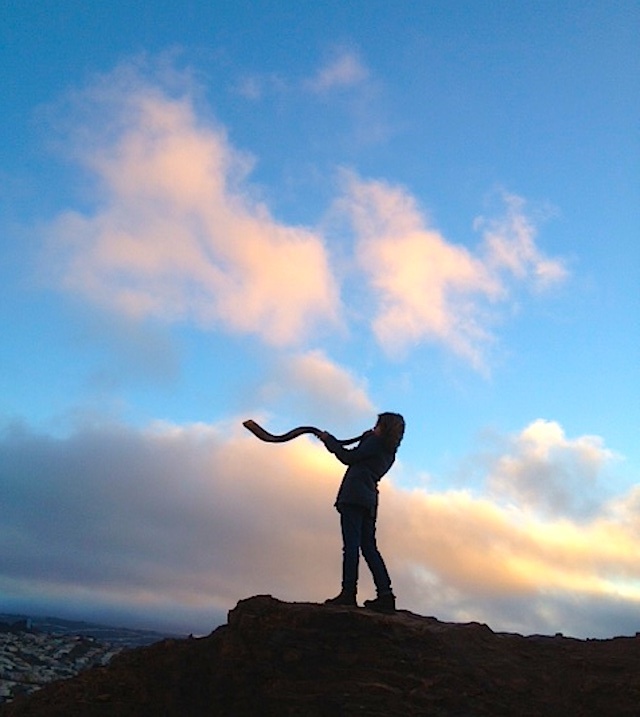 Run to the call of the Shofar! Eternal life and the millennium wait for those who stand firm and see the glory of God. If the Messiah were called a “Heavenite” would you not then call yourselves “Heavenites?” and no longer Jews? Would that eradicate your heritage? No. It would simply point to your association with the Messiah. Justin Martyr was wrong. You were meant to be both associated with the Messiah and your heritage. The coming times will demand our understanding. Preparing ourselves and others now is paramount. This post, is a quote from chapter 8.1 of Exit Strategy We initiate the return of Christ.